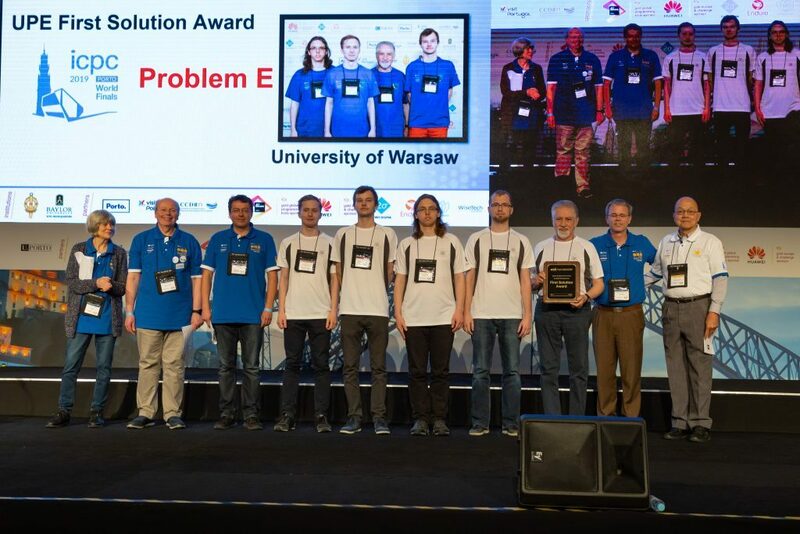 Warsaw Eagles, the University of Warsaw team from the Faculty of Mathematics, Informatics and Mechanics, won the gold medal at the International Collegiate Programming Contest (ICPC) 2019 world finals in Porto. UW students became champions in the region of Europe. 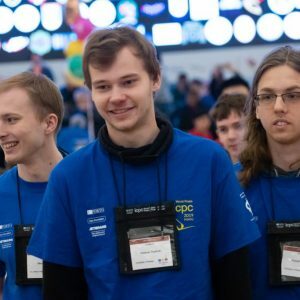 The International Collegiate Programming Contest is the oldest, largest, and most prestigious algorithmic programming contest in the world. Teams of three students, representing their university, work to solve the most real-world problems. The contest aims to develop collaboration skills, boost creativity, innovation, and the ability to perform under pressure. The teams are given 5 hours to solve the problems prepared by organisers. They must submit solutions as programs in C, C++, Java, Python or Kotlin. 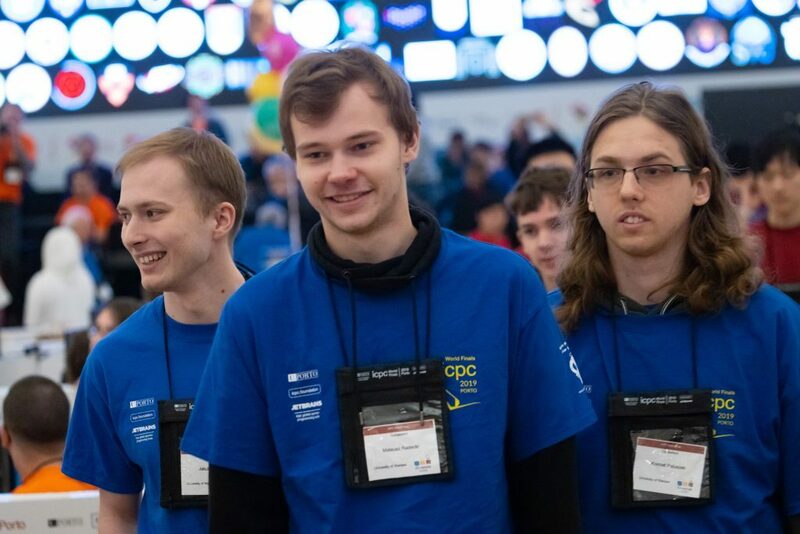 In this year, 135 teams from all over the world took part in the ICPC world finals. The University of Warsaw was represented by Jakub Boguta, Konrad Paluszek and Mateusz Radecki, the members of Warsaw Eagles team. 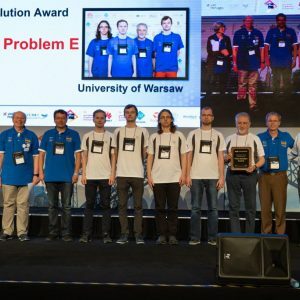 The team won the gold medal and took the 4th place following Moscow State University, Massachusetts Institute of Technology, and the University of Tokyo. Gold medallists from UW solved 8 of 11 problems. UW students earned the honour of being the best in the region of Europe. The University of Wrocław also performed very well at the ICPC contest. It was ranked 6th. Contestants from UW are coached by Prof. Jan Madey, Prof. Krzysztof Diks and Marcin Smulewicz. Since 2012, the UW teams have been bringing medals from this contest. In 2003 and 2007 our students won gold medals and were ranked 1st. The ICPC world finals were held in Porto from 31st March to 5th April. It was the 43rd edition of the contest. The ICPC is affiliated with the ICPC Foundation and is headquartered at Baylor University. The University of Warsaw was ranked 201-300 in the 2019 THE University Impact Rankings, a pioneering initiative to capture universities’ impact on society and economy.